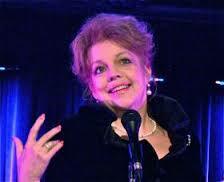 Cabaret veteran KT Sullivan tells us in her show at The Crazy Coqs of fascinating English cabaret artist Mabel Mercer who is hardly known here! For anyone interested in cabaret and it’s history, this show is essential. Certainly, all cabaret artists and students should see it. KT Sullivan, one of America’s top cabaret performers, operatically trained and renowned for her cheeky humour, brings to London a show celebrating the life and work of English – yes, English!- cabaret artists, Mabel Mercer. It is a disgrace that the work of Mabel Mercer is so little known, and even less celebrated here. Born in Burton-on Trent to a white Welsh music-hall artist and a black American jazz musician, whom she never met, Mabel was educated in a Convent school in Manchester. There she learned elocution, to which she attributed the secret of her success. By the 1930’s, she was widely admired by such luminaries as Cole Porter, F. Scott Fitzgerald and Ernest Hemmingway. Frank Sinatra openly acknowledged her influence on his technique and phrasing, and was to say of her that “Mabel Mercer taught me everything I know, she is the finest music teacher in the world” and that she was “the greatest cabaret singer of all time”. KT Sullivan is now the artistic director of the Mabel Mercer Foundation, which provides resources and supports artists in various ways. She sings in Mabel’s style throughout the evening with diamond-crisp articulation, superlative phrasing and razor-sharp humour. Jerome Kern’s and lyricist Dorothy Field’s “Remind Me” and Bart Howard’s “Everybody’s Lookin’ (Around For An Angel)” particularly stood out. There was also a beautifully wistful rendition of “Once Upon A Time” by Charles Strouse and Lee Adams. She teased us with a version of “Fly Me To the Moon” sung in ¾ time, rather than Sinatra’s 4/4 timing. This was how the song was originally written and, delivered in speech quality with KT’s soprano voice, the words sprang out anew. Mable Mercer was a cat-lover and Noel Coward’s “Chase Me Charlie” about cats in the garden was done in a style that paid tribute to Mabel’s early music-hall roots. KT was subtly and beautifully accompanied by pianist William Zeffiro, who supplied additional vocals and indeed some original material. He sang his own humorous song “Lower Your Expectations” to the delight of the audience. For a fresh interpretation of some well-known cabaret songs, combined with historical material rarely if ever heard now, and to find out more about our very own Mabel Mercer, you couldn’t do better than to see this show. This entry was posted in Cabaret Reviews and tagged cabaret, cabaret reviews London, Crazy Coqs, fiona jane weston, KT Sullivan, Mabel Mercer.William Zeffiro. Bookmark the permalink.